It's he-re!! The eagerly-awaited trailer for Twilight: Eclipse Eclipse finally emerges in the blogosphere. Take a look at the sneak peak below (courtesy of ComingSoon.net). Apparently Bella is still caught in a blood-thirsty love triangle. 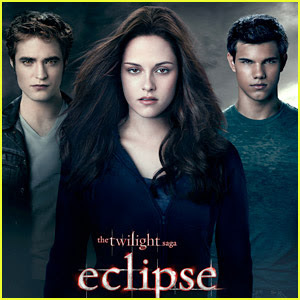 Twilight: Eclipse hits theaters June 30, 2010.
love it...but whats with the pink stars?? ?